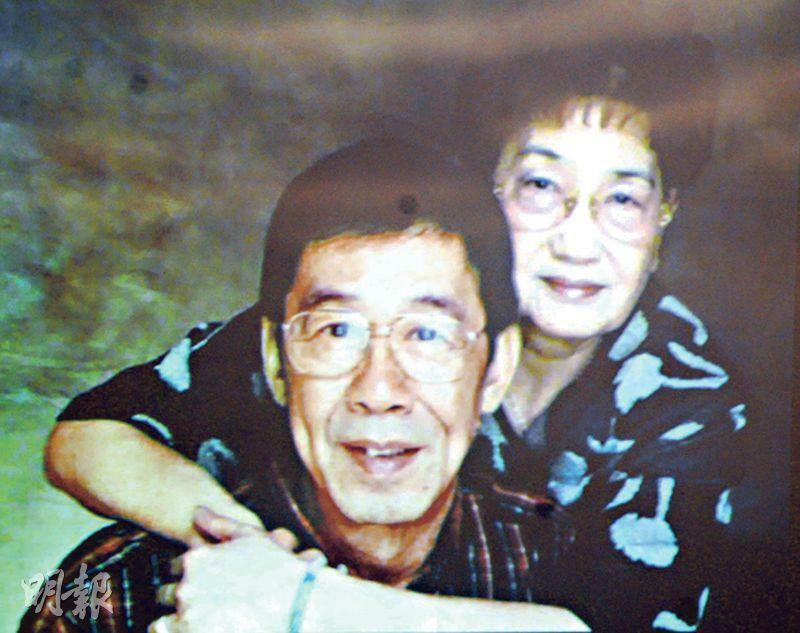 Wu Fung's wife Lui Wing Ho passed away earlier. Yesterday services began at the Universal Funeral Parlor with the funeral taking place the next day. The ceremony will be Christian. The hall was decorated with black and white. 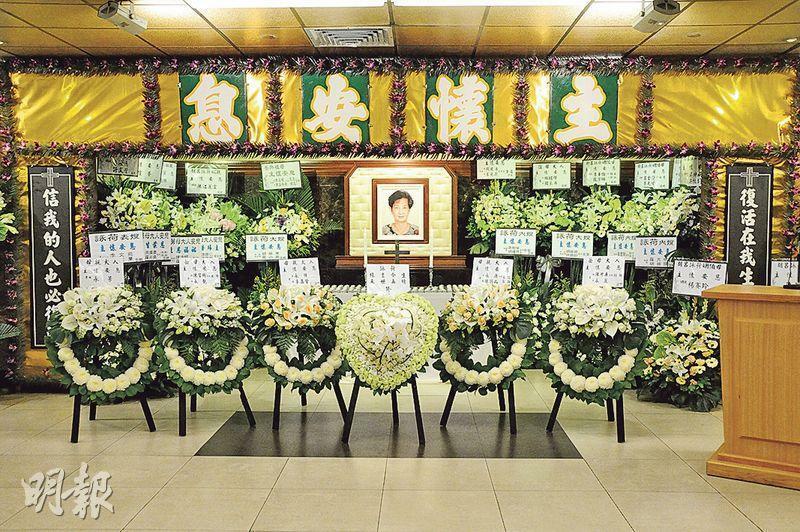 In the center were floral arrangements from Brother Sau and family members. 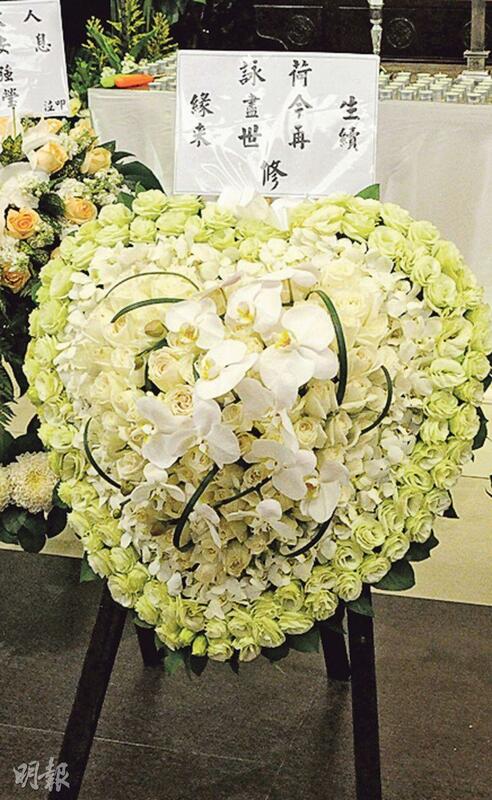 Brother Sau's heart shaped floral arrangement had a banner that read, "Wing Ho: destiny ends in this life, to be continued in the next. Sau". 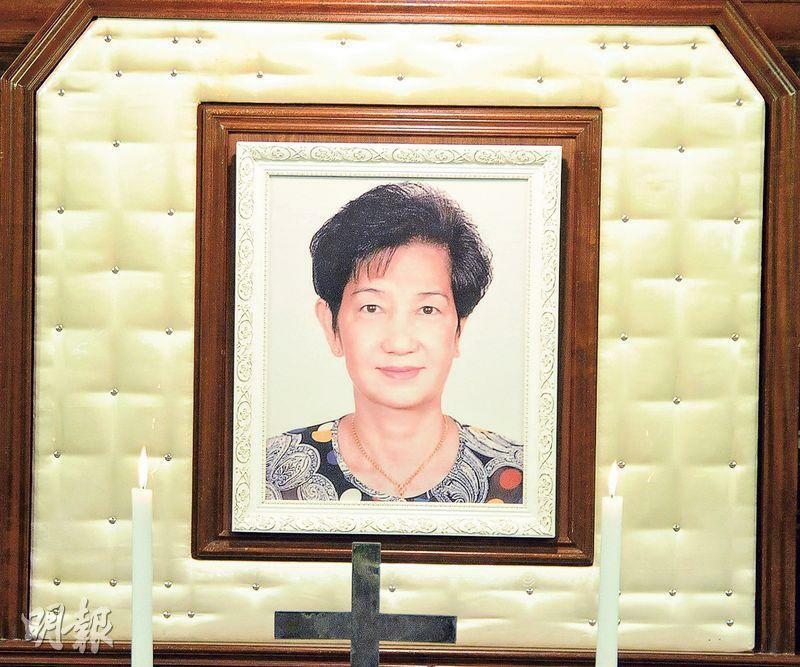 Floral arrangements from Brother Sau's godchildren like Jacky Cheung Hok Yau and May Lo Mei Mei, Leon Lai Ming, Sandy Lam Yik Lin, Prudence Liew Mei Kwan, Ban Ban, Fong Kwok San were placed on the sides of the altar. 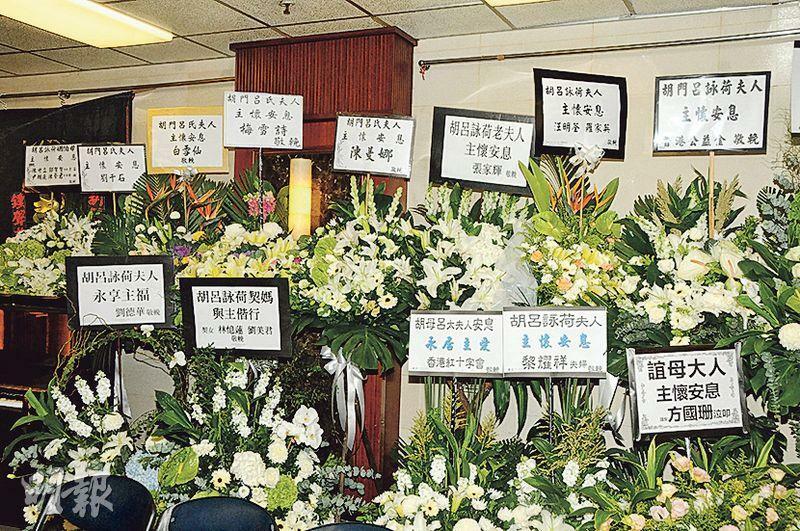 Other floral arrangements came from former TVB chief Dr. Norman Leung, famous Cantonese actress Mui Suet Sze, Patrick Tse Yin, Law Kar Ying and Liza Wang Ming Chuen, Andy Lau Tak Wa, Tam Bing Man, Lee Heung Kam, Nancy Sit Ka Yin, Tam Sin Hung, Kent Cheng Juk Si, Wayne Lai Yiu Cheung, Joey Yung Cho Yi, Twins, To Ping and his wife, Melvin Wong Kam Sun and Angie Chiu Nga Chi. 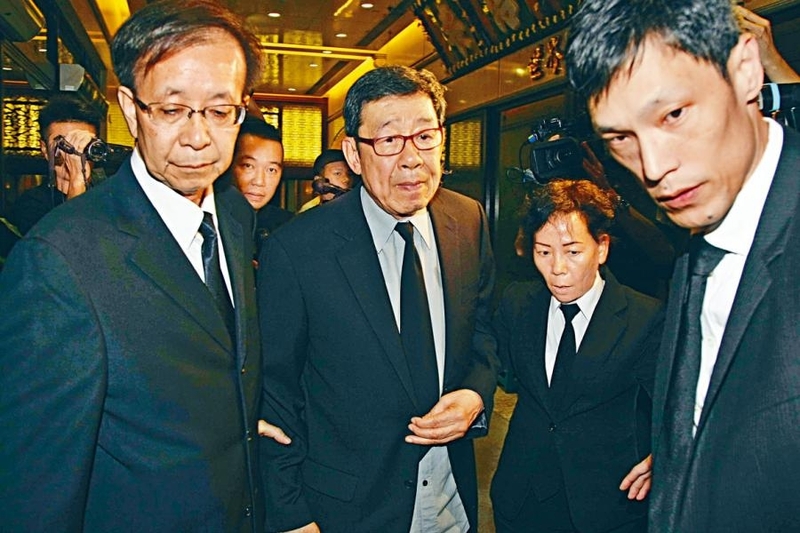 By dusk Cheung Hok Yau, Ban Ban, Liew Mei Kwan, Lam Yik Lin, Nick Cheung Ka Fai, Ng Kwan Lai, Helena Law Lan, Sit Ka Yin, Wang Ming Chuen, Tse Yin, Joe Junior, Lai Yiu Cheung, Bobby Auyeung Chun Wa, Ting Yu, Ng Lai Chu, former TVB chief Norman Leung, Ng Yu and Elaine Lok Yi Ling. Pak Suet Sin came with disciple Connie Chan Bo Chu and friend Chan Sin Chi. 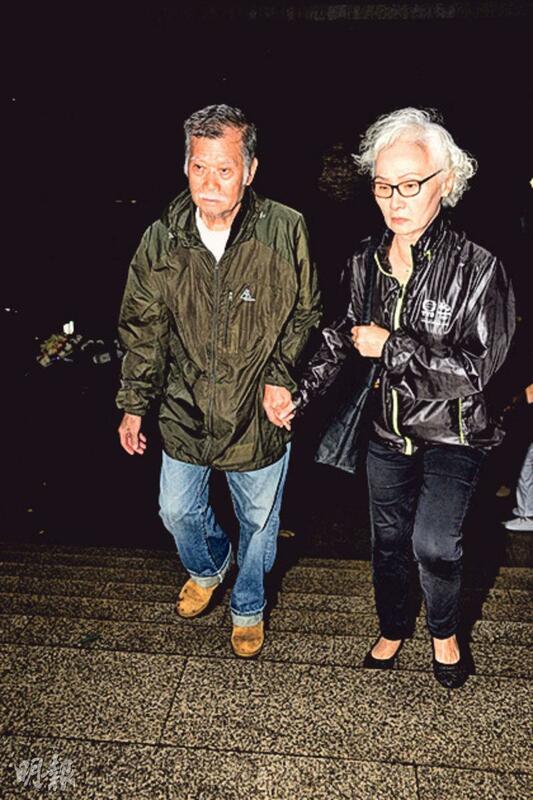 After 5:40PM Brother Sau spoke to the media with god daughter Fong Kwok Shan. Brother Sau first said, "Thank you very much everyone, I am sorry that you have to work so hard because of my wife. My wife truly was fortunate. Our entire family, children, children in law, grandchildren and great grandchildren all treated her very well. Before she went she saw everyone in the entire family. I knew that she was at peace. She should be very happy that everyone was there when she passed, so with her last breath she was still smiling." Brother Sau broke down and could not hold back her emotions any longer. Brother Sau also said that he said to her before her passing. "Everyone is very good, you can go in peace. If not you would be in a lot of pain." 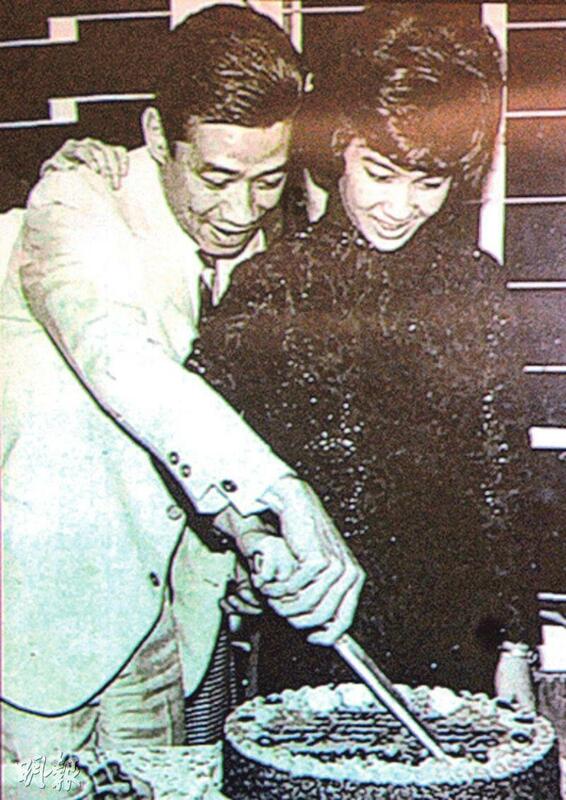 After that Fong Kwok Shan helped him back into the hall. 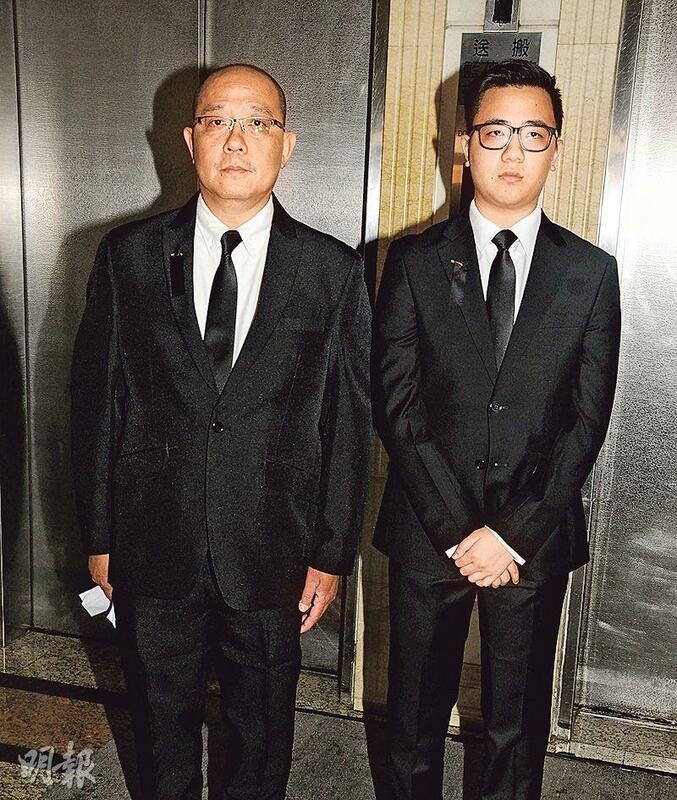 Brother Sau's oldest son Wu Wing Hong and oldest grandson Wu Ka Chun also spoke to the media with Tsang Sing Ming. 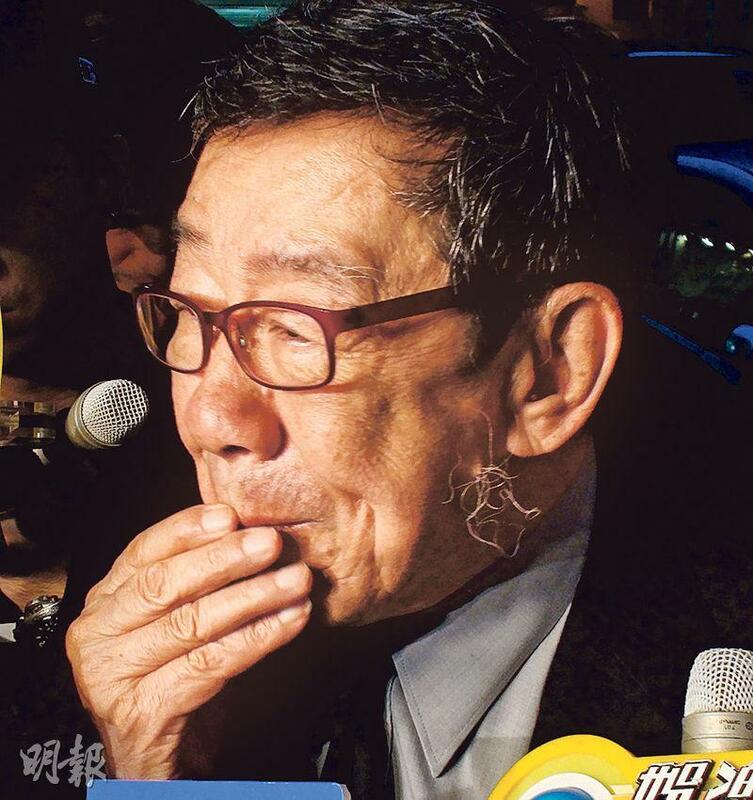 Wu Wing Hong thanked the media for covering the event. 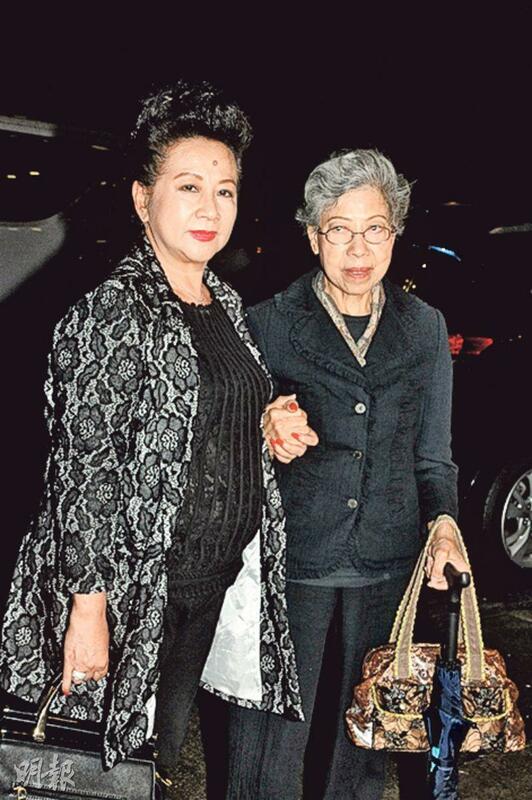 Wing Hong revealed that his mother was 82. She passed very peacefully. Papa and the children were by her side. Mama was getting old and had health problems in the past few years. She passed away due to complication from heart problems. God son Cheung Hok Yau last night arrived with Cheung Ka Fai. They stayed for half a hour and left. 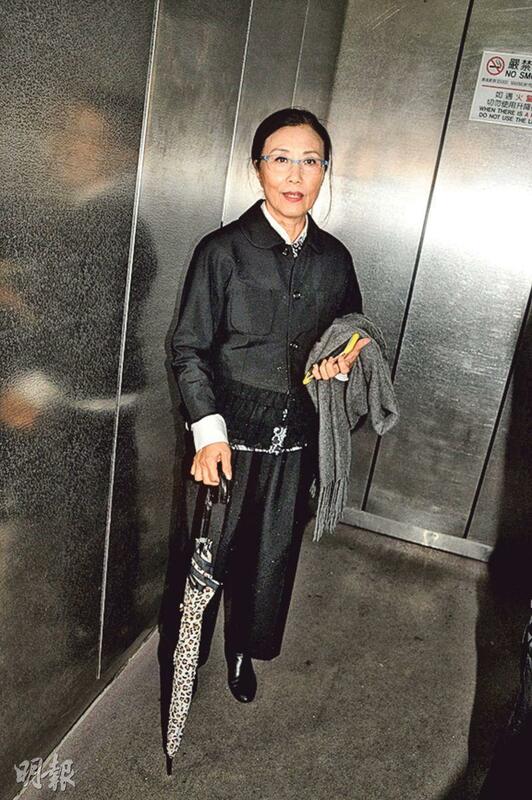 Hok Yau was too saddened to speak to the media. Ka Fai spoke as he walked. He said that Brother Sau appeared to be calm. Ka Fai said that he was not Brother Sau's god son but comforted Brother Sau anyway. 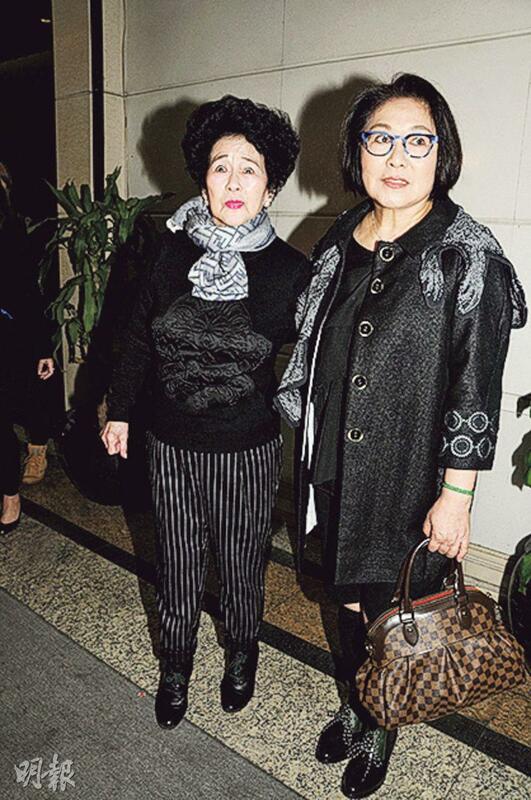 He said, "I met Mrs. Wu when I went to dinner at Brother Sau's home. At the time she was very healthy." God daughter Ban Ban arrived around 5PM. She said that she just got off the plane when she received the news. 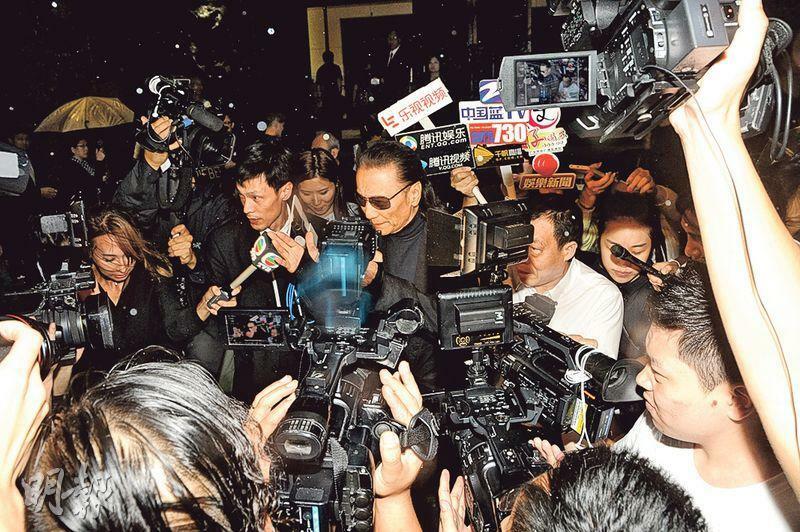 She got a lot of messages from the media, at the time she was stunned and immediately called God Father. He too was very upset. She said teary eyed, "It was very shocking. I comforted God Father. Maybe he was mentally prepared, but he still missed her!" 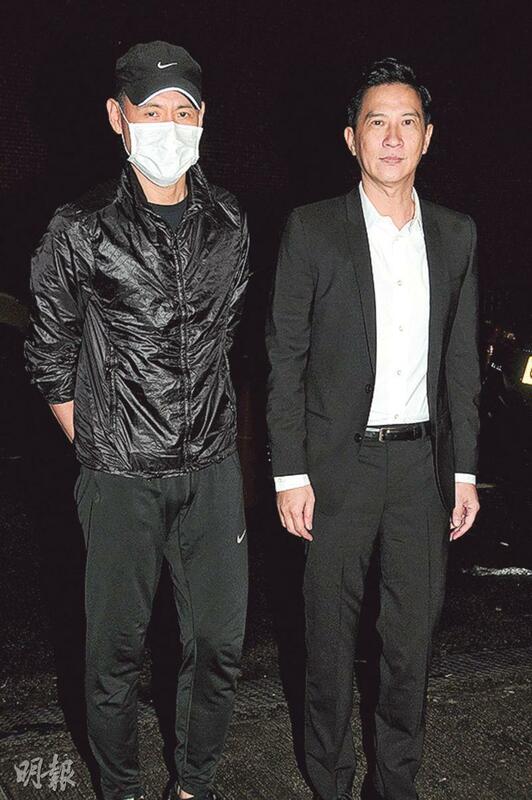 Frequent co-stars of Brother Sau, Law Lan and Sit Ka Yin arrived together. 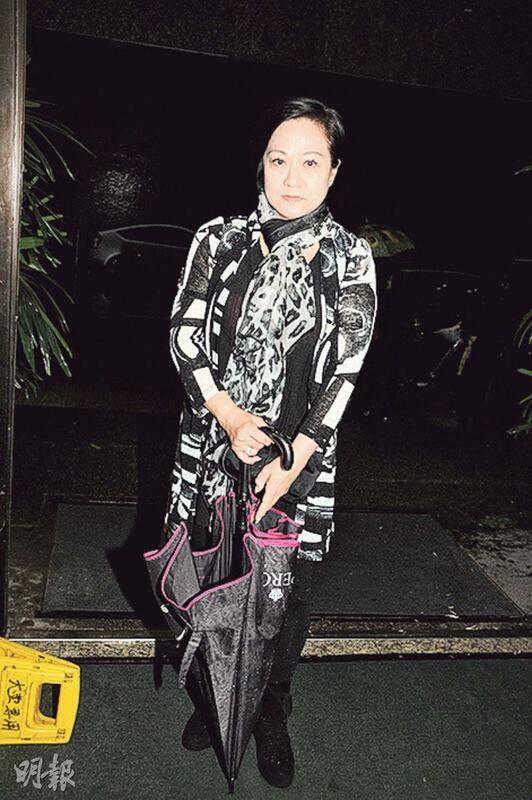 Sister Law Lan did not respond due to a sore throat. Sister Ka Yin spoke on her behalf. 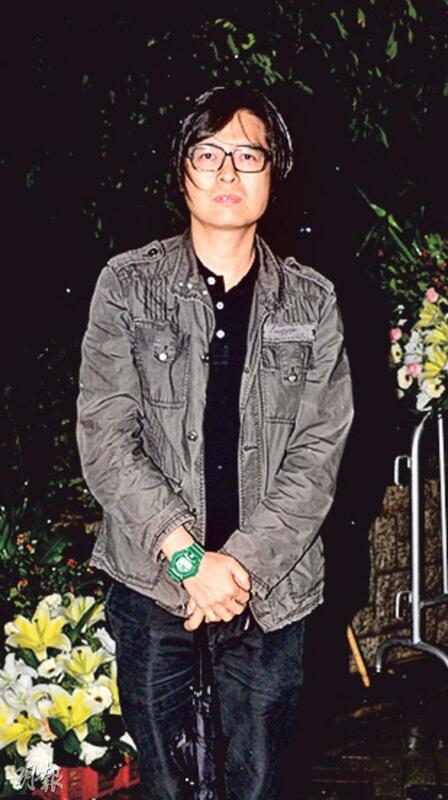 "I heard from Sister Law Lan that Brother Sau and his wife have been married for decades and always been very loving. Sister Law Lan watched them date. They were each other's first love, so they have always supported and loved each other. They also loved their children. Brother Sau of course would be very sad and heart broken. I hope he would easily get past this period." Tse Yin said that he comforted Brother Sau and revealed that he was OK. Ah Jeh said that she worked with Brother Sau all the time before, so she would come in contact with Sau Soh. "She was great. When I heard the news I was shocked and I was worried about Brother Sau. 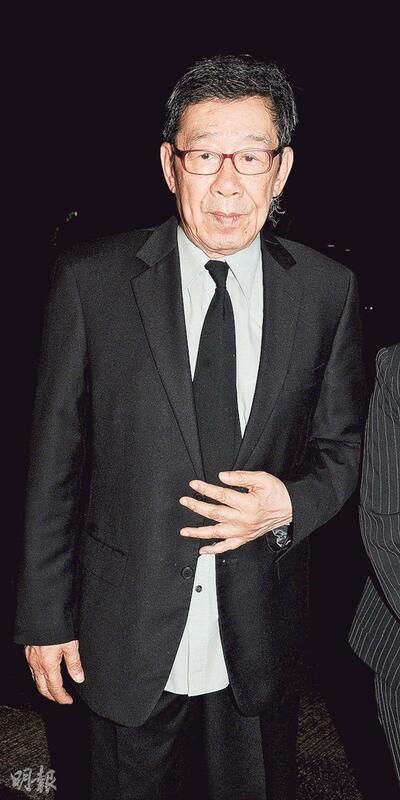 I just saw him sitting to the side in silence, I very rarely saw him like that."